Izak matriculated from Pietersburg Hoerskool in 1990. He obtained his B.Com(Law) degree from RAU and his LL.B from the University of Pretoria in 1997, where after he completed Law School at UCT. Izak was admitted as an Attorney in 1999 and as Conveyancer in 2001. He loves spending time with his family and enjoys camping, hiking and the great outdoors but his professional passion is everything property! 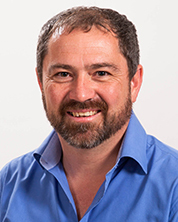 Izak heads up our Helderberg Office and specialises in Conveyancing.